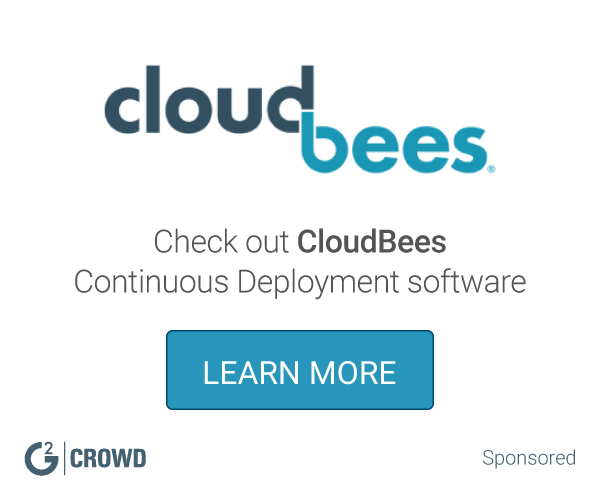 What Continuous Deployment solution do you use? Codeship offers hosted continuous integration and deployment for your web apps, including rails, php, python, java or go apps. Bring back the joy of app development! Mobile Continuous Integration & Delivery for your whole team, with dozens of integrations for your favorite services. Bamboo does more than just run builds and tests. It connects issues, commits, test results, and deploys so the whole picture is available to your entire product team- from project managers, to devs and testers, to sys admins. AWS CodeDeploy is a service that automates code deployments to any instance, including Amazon EC2 instances and instances running on-premises. Octopus works with your build server to enable reliable, secure, automated releases of ASP.NET applications and Windows Services into test, staging and production environments, whether they are in the cloud or on-premises. AWS CodePipeline is a continuous integration and continuous delivery service for fast and reliable application and infrastructure updates. Continuous Integration and Deployment as-a-service. Nothing to install. Nothing to configure. No server maintenance. Integrates seamlessly with Github, Bitbucket, Heroku and more to automatically build, test and deploy your code with zero human assistance. At its core, Buildbot is a job scheduling system: it queues jobs, executes the jobs when the required resources are available, and reports the results. AWS CodeStar enables you to quickly develop, build, and deploy applications on AWS by providing a unified user interface, allowing you to easily manage your software development activities in one place. * We monitor all DeployHQ reviews to prevent fraudulent reviews and keep review quality high. We do not post reviews by company employees or direct competitors. Validated reviews require the user to submit a screenshot of the product containing their user ID, in order to verify a user is an actual user of the product. Hi there! Are you looking to implement a solution like DeployHQ?